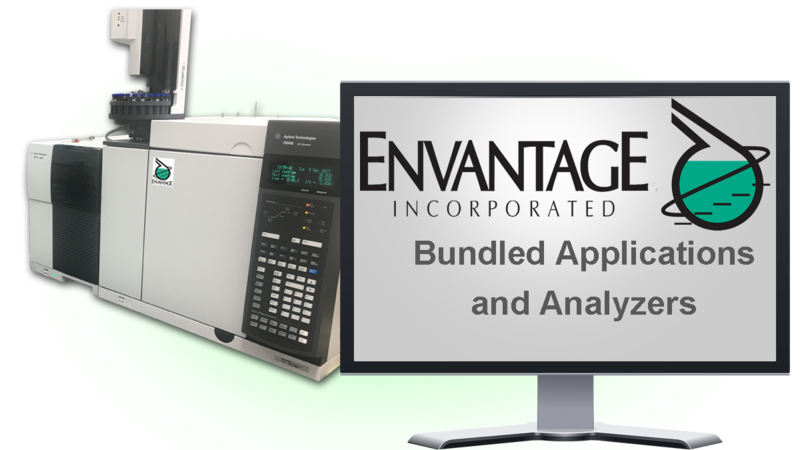 Envantage is a technical services company that provides a broad range of analyzers to petroleum, petrochemical, and other hydrocarbon-based analytical laboratories. We can supply new or refurbished equipment, or applicate your existing equipment. We also specialize in applying new and novel technologies that can simplify and streamline your operation. With particular expertise in chromatography we supply a wide range of GC, HPLC, and SFC applications. These applications can be compliant with standardized test methods or uniquely customized to meet your specific analytical/reporting needs. The choice of Chromatography Data System (CDS) is yours. We work with all major CDS systems. If reporting requirements are beyond the scope of the CDS a customized software solution can be provided. Simulated Distillation (Dragon SimDist) and Detailed Hydrocarbon Analysis (Dragon DHA) software have been developed in-house and come installed with our SimDis and DHA analyzers. Agilent chromatography hardware and software is a dominant presence in many of our customer’s laboratories. We are pleased to offer these customers the superior support and service that comes with being an Agilent Channel Partner. In this capacity we can supply Agilent hardware and software products with full manufacturer warranties and provide customer support backed up with all the resources of Agilent. Supercritical Fluid Chromatography is a unique and sometimes overlooked analytical technique. With carbon dioxide as the carrier there are obvious environmental and economic benefits. It is considered a “green” technology. ASTM methods are now available for specific components in diesel, jet fuel, and gasoline. We are pleased to partner with Selerity in offering our customers a robust, economical SF Chromatograph. Our field engineers have been factory trained to install and service the Selerity line of Supercritical Gas Chromatographs. Envantage is very proud of our recent association with VUV Analytics. Their award winning Vacuum UV detector has the potential to significantly change the landscape of analytical instrumentation in the petroleum laboratory. With the ability to universally detect components in a gas phase, a library of spectral fingerprints, and de-convoluting software, the VUV analyzer promises to simplify chromatographic separations. Up to 5 co-eluting peaks can be identified thus eliminating the need for multiple columns, valves, detectors and complex techniques needed to accomplish complete component separation and identification. Envantage engineers are certified to install and service the VUV detector.